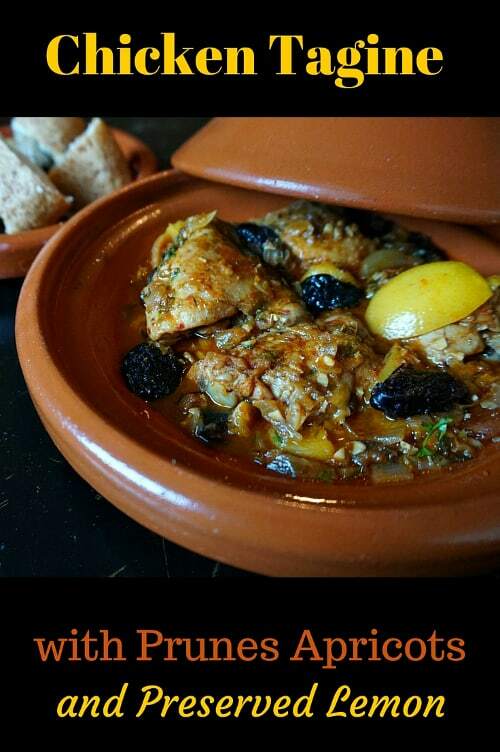 Tagine dishes get their name from the pottery dish with a cone-shaped lid in which they are slowed cooked to perfection. 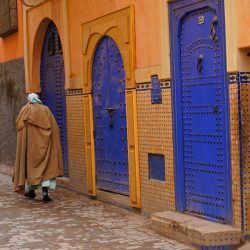 We tried a number of Tagine dishes while in Marrakech, Morocco. They run from savory to sweet with the addition of dried fruit and honey. 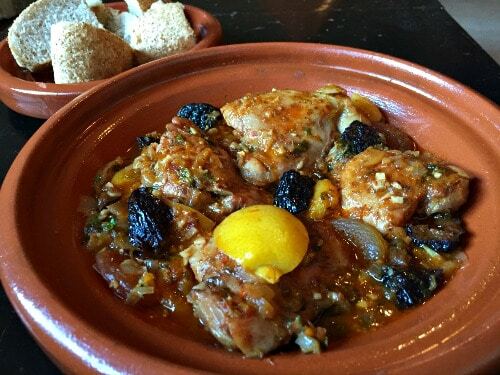 This version, Chicken Tagine with Apricots, Prunes and Preserved Lemons, is a blend between the two. 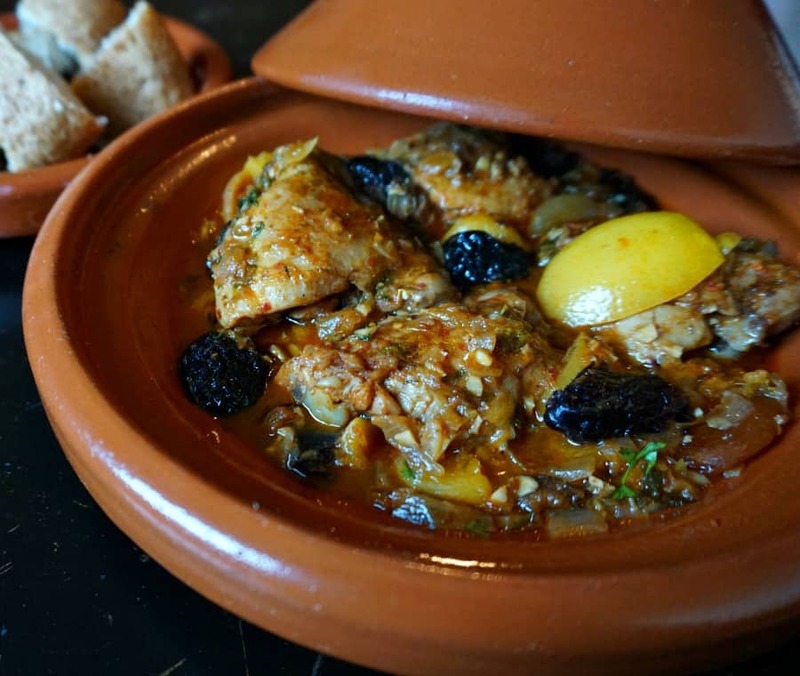 The addition of the fruit along with a hint of cinnamon and mint adds a little complexity to the standard Chicken Tagine Recipe. The harissa (a spicy roasted chili paste with spices such as garlic and coriander) adds another note that elevates the dish to a new level. You can find harissa in specialty stores or the ethnic aisle of your grocery store. The dish can also be made with hunks of beef or lamb, substituting the stock to match the protein of your choice. If you don’t have a tagine, you can also use a heavy skillet or dutch oven. 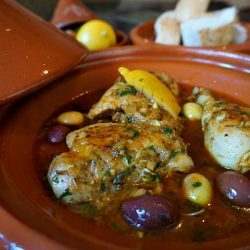 Either way, this classic North African dish is a wonderful alternative to the standard slow cooker chicken. 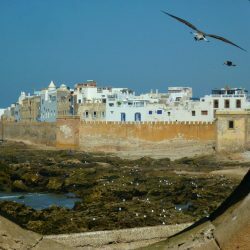 Enjoy as the wonderful exotic aromas of Marrakech fill your kitchen. A recipe for traditional Moroccan bread follows. 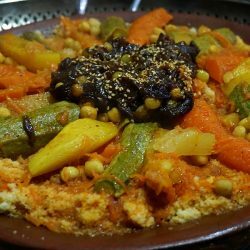 You can also serve it with another crusty bread, couscous, quinoa or rice. Place washed and dried chicken into a bowl and combine with harissa (or other spicy chili sauce) along with the dry spices. Thoroughly coat the chicken and allow to sit in the refrigerator for 1 - 2 hours. Add the olive oil to the pan over medium heat. Add the onion, garlic, pulp of the preserved lemon, and saute until the onion softens. Add the chicken to the pan and brown on both sides. Add the prunes and apricots and simmer another 2 minutes. Add the chicken broth until the chicken is 3/4 covered by liquid. Bring it to a boil and then reduce the heat to a simmer. Add the butter or ghee, cilantro and parsley (reserving some for garnishing). Turn the chicken occasionally, and add a little water if the liquid reduces below covering 1/2 of the chicken. Continue to cook for about 30 minutes to 1 hour, until the chicken is cooked through. Turn off the heat, add the lemon peel. Allow to sit for about 5 minutes.and then add the preserved lemon peel. Continue to cook for another 15 to 30 minutes until the chicken is cooked through and tender. Allow to sit for 5 mintues. Serve with crusty bread or over rice or couscous. This is a gorgeous dish! I’ve pinned it, and hope to get around to making it soon! Thank you for your kind comments! Let me know if you try it. Do you cook everything in the tagine? Cooking this right now! Delicious. When do you add the mint? This is the best thing Iâ€™ve ever made! Love, love love! 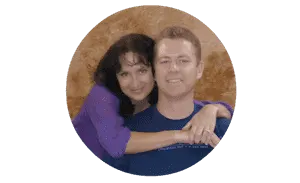 So thrilled that you like it! You made my day. can i make this by putting the tagine in the oven? That should be fine! But I would also check with the manufacturer just to be sure.